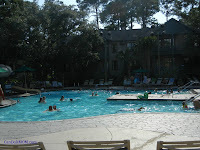 This Summer I was fortunate enough to visit the DVC, aka Disney Vacation Club, resort in South Carolina. 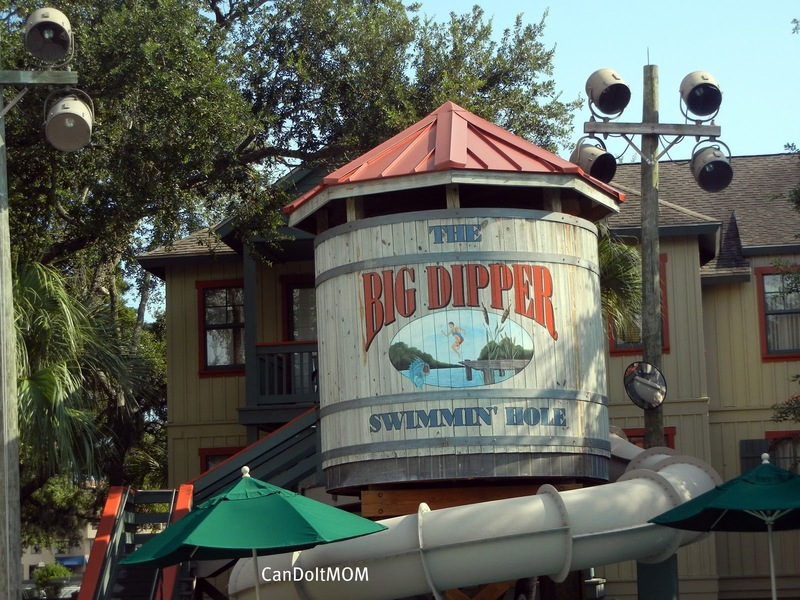 Over the years, it has become one of our family's most favorite places to go for a vacation. 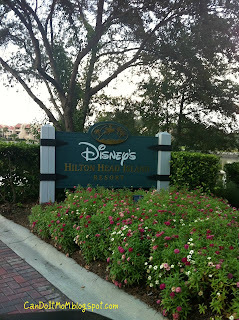 One reason is the feel you get after you cross the bridge into the resort. 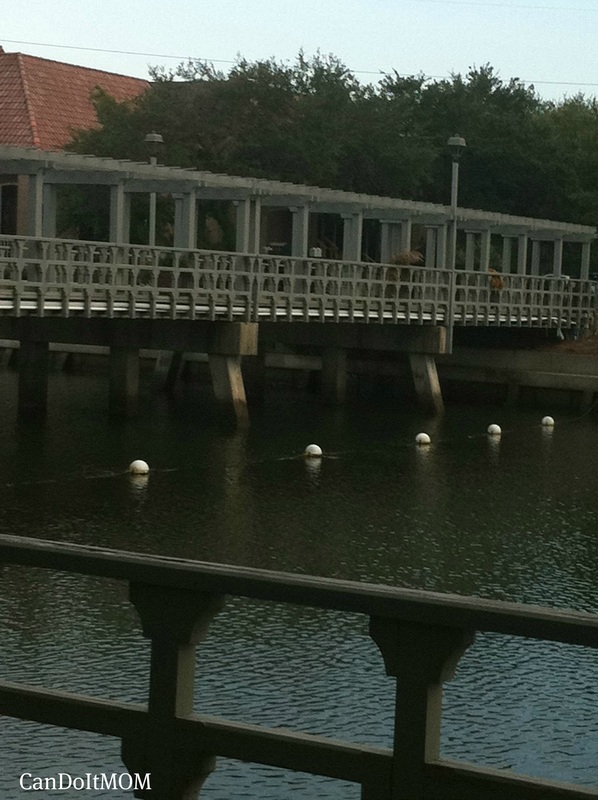 Yes, that's right you cross a bridge and go onto a private island, very Disney. They know how to make it special and here they do. Since it is a smaller resort everything can feel special to you, even the Spanish Moss hanging off the trees, giving quite a slow, whispering wind feel. The kids running around and laughing gives it that Walt Disney World family feeling. 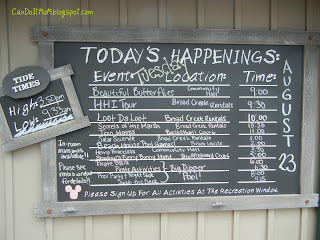 One thing in particular I enjoyed was that over the years a lot more activities have been added to this resort. 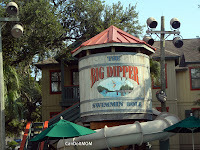 They have always had a great pool called the Big Dipper. 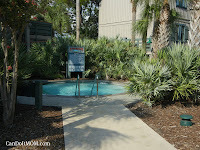 It has a great slide that goes around a water tower and the slide puts you right into the 3 foot area of the pool. Lifeguards are always on hand to keep everyone safe and a very secluded Hot Tub nearby for added R &R, should you need a place to hide away day or night. 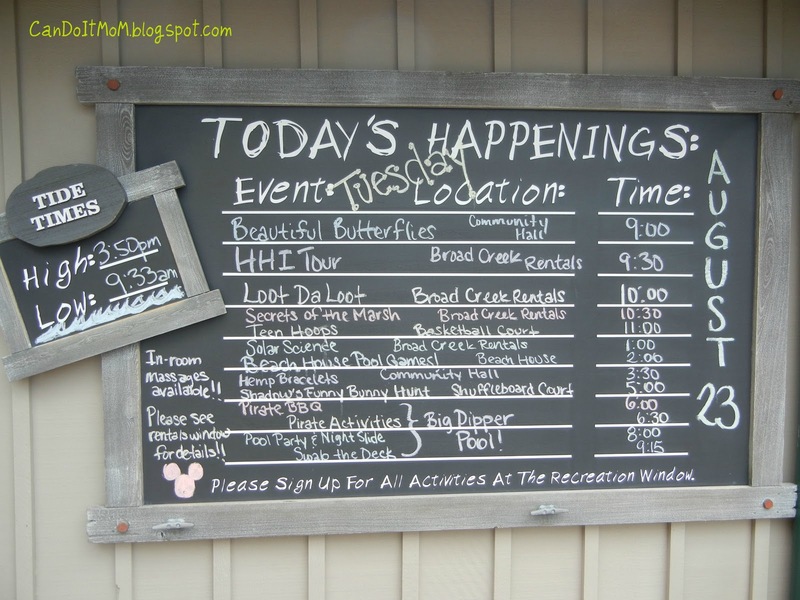 There are many family activities planned every day during the Summer months, less on the off season. Even Hidden Mickeys are here scattered among the resort. 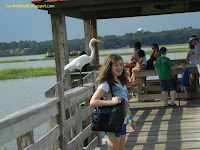 The cast members are ususally local residents and are happy to answer any questions about the island and things to do that are local to this low country. One of our family favorite's is crab fishing, which you purchase the net and bait for to see if you can coax one to get in your net. This particular sport requires some patience and the little ones love when you finally discover a crab in the basket. But, if that is not your thing regular fishing is also very popular off the dock. I call it a dock because that what it reminds me of, since our family has been enjoying this resort over the last 12 years or so, this one spot has made so many memories for us. Officially it is called Fishing Pole Pier but, a lot more than fishing goes on here. Yes to the crab and fish catching but, it is also racing to the end that has became a sport for us. I would be running right behind them when they were little because there is an end and if you tried you could get through the wooden fence. I have looked over and it doesn't look to deep, but still you need to be careful. The walk or run out to the end of the dock is about 300 feet. There is also wildlife all around if you stop and look. Beautiful birds tend to hang around especially at the pier. They are just looking/waiting for some snacks from would-be fishermen. These white Ibis are just another part of serenity to this island retreat. Another part of Disney Hilton Head's Rest and Relaxation is laying in all the hammocks spread around the beautiful grounds. They make a great way of just passing the day by and thinking I don't have to do anything else but swing and or sleep. 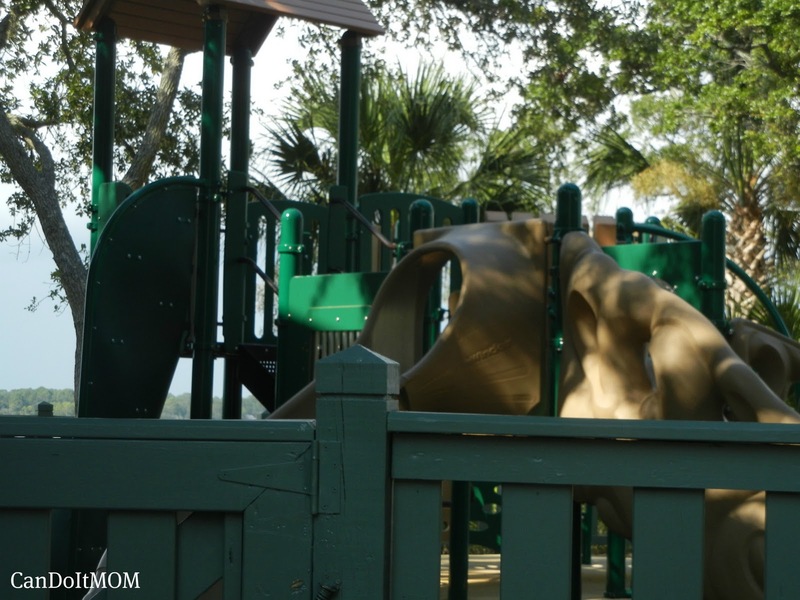 There is also a great playground for the kids that is completely enclosed and has a place for the parents to sit and watch. 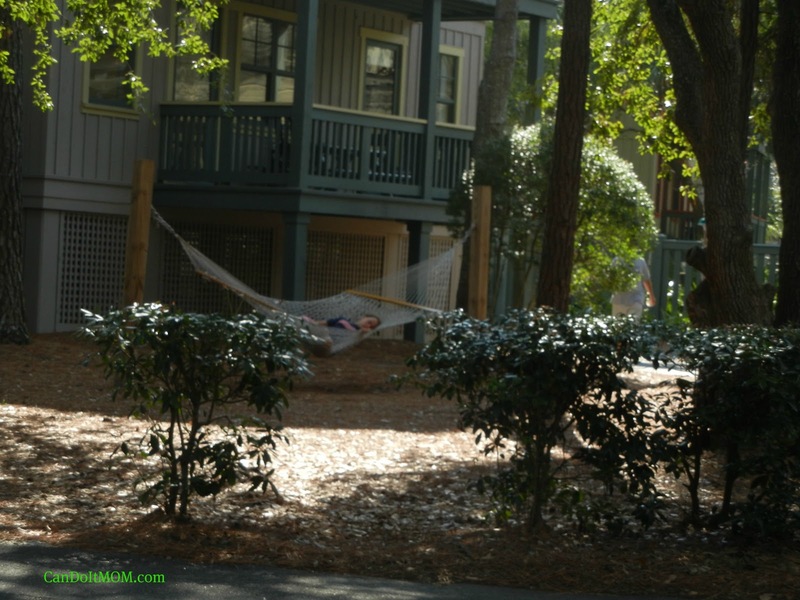 The many huge trees that surround the property have cascading Spanish Moss that make the place look so beautiful. 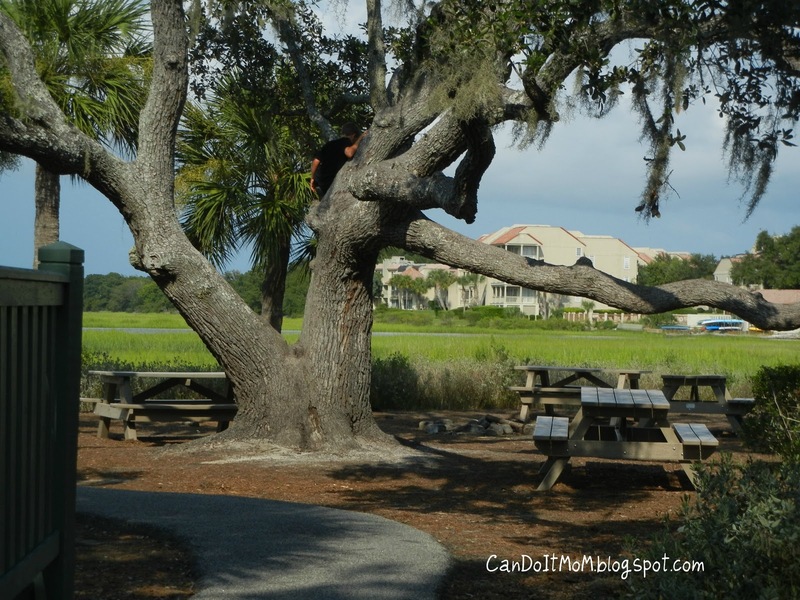 These trees are so amazing because their branches are just at the right height, angle and size for climbing. I bet they probably don't really want you too but it's so very tempting. I hope you have enjoyed some of the great activities and stories about this fun, relaxing Disney resort and even thought it doesn't include a Disney Park with rides, DVC Hilton Head has a lot to offer.. I want to thank Amy for this great opportunity to tell you about another great Disney Vacation our family had. Thanks Diane for the great post! 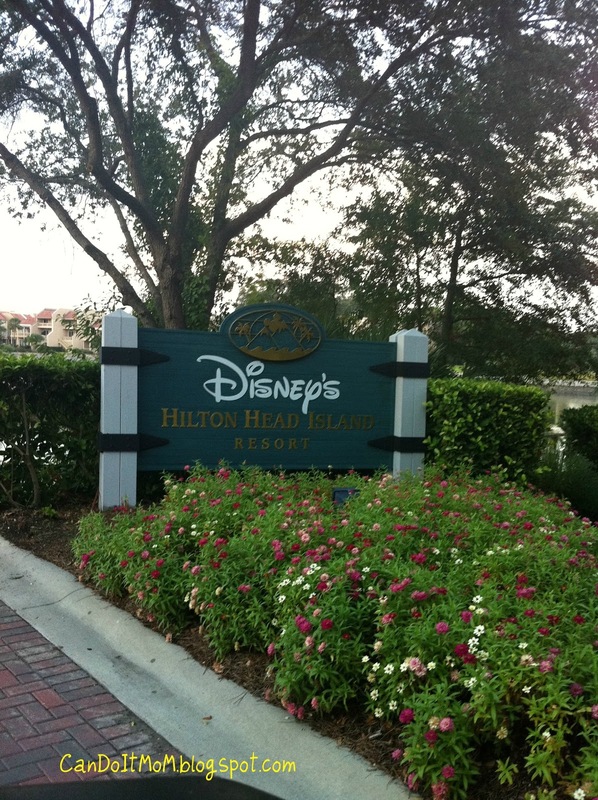 It's been years since we've been to DVC Hilton Head. Reading your post makes me want to go back soon! 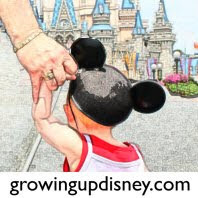 Thanks Disney Dad, I agree totally, it such a great place and more should check it out.. Thank you Debs, it's a very special place..